How do I listen to the MP3 stream? MP3 is a popular audio format which plays in lots of different audio players, so more people can easily listen to WMHT-FM and WEXT online. Real Player will plays the MP3 stream, but you don't have to have Real Player - you can listen with any MP3 player. If you use Windows Media Player, click here for the Windows audio stream. For most any other player, choose the MP3 stream. Having issues using the Sonos Controller for Mac or PC? You can use the Sonos Controller for Mac or PC to add a radio station that does not appear in the radio guide. You must know the streaming URL, and the station must use the streaming MP3 broadcast format. This station will be added to your Favorites list. • From the Manage menu, select Add Radio Station. • Type the radio station’s name in the Station Name field, and then click OK. The new radio station appears in your My Radio Stations list. Click here to view the online Sonos guide. How can I bookmark WMHT-FM's audio streams? 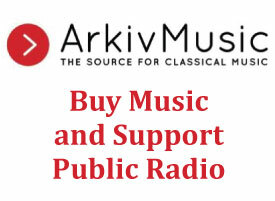 Windows Users: In your browser, right click on this stream link (http://listen.wmht.org), select "Save Target As / Save Link As" or "Add To Favorites." Mac Users: Drag the link to your desktop or control-click and select "Download link to disk" or "Add to Favorites." What audio is available online? WMHT-FM and WEXT-FM are streamed live online, which means you can access current programming. Recording industry laws prevent us from archiving our music programs. What do I need in order to listen to WMHT-FM's live stream? WMHT-FM and WEXT are streamed in two formats: Windows Media and MP3. Since you're reading this page, you're probably on a device that has an internet connection. The computer must also have a sound card, and speakers or headphones. To listen to our Windows Media streams, we recommend you download the latest version of Windows Media Player for your operating system. It's free, and there are versions for both Windows and Macintosh. Sometimes the sound cuts out when I listen to the live stream. Why? Usually this means there are temporary problems on the internet somewhere between our audio servers and your computer or mobile device - it often resolves itself within a few minutes. You may also hear interruptions in the audio if there is a problem with your computer/mobile device hardware or software or if your internet connection is very slow. I have the hardware and software I need, but I am not able to connect to the WMHT stream. What can I do? It is possible that the listening capacity has been reached, which is why it is important that users disconnect from the stream when they are finished listening or are away from their devices. Please try back later. If you continue to experience problems, please let us know. I've read through/tried all of this and I'm still having streaming problems. What should I do?